Shortage of Manpower? Let us help. 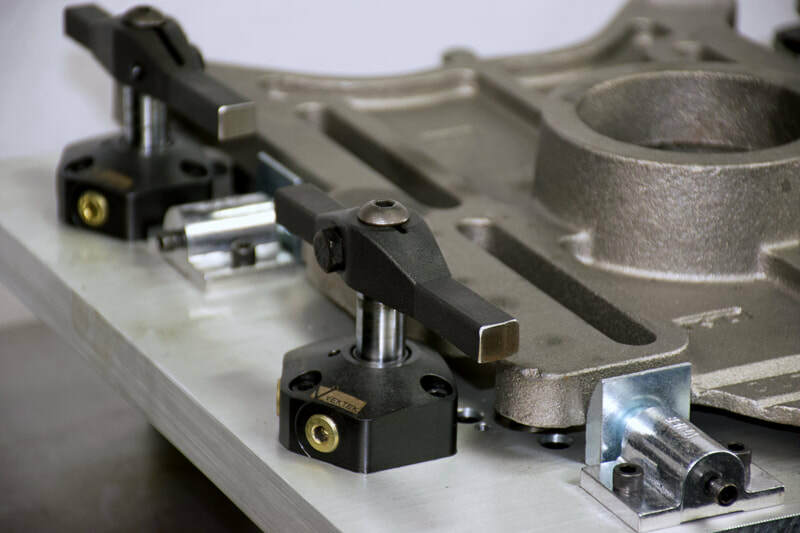 We can fixture your parts using hydraulic workholding. 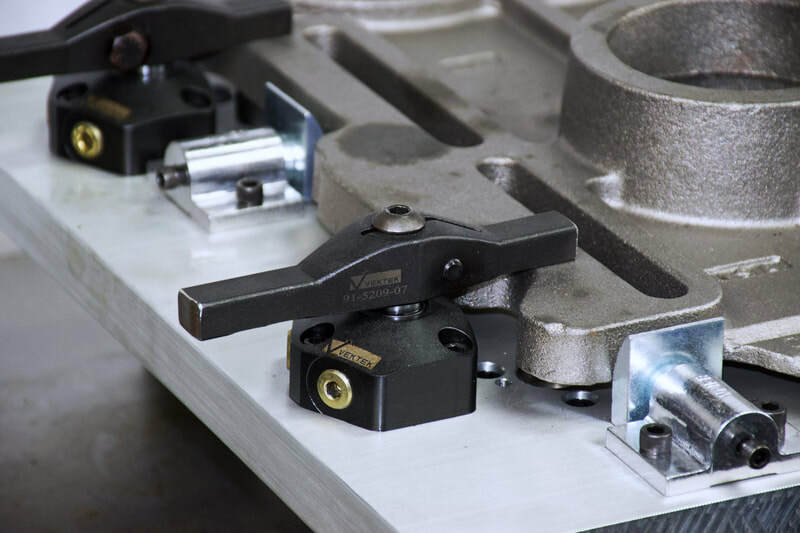 The advantage of hydraulic workholding is consistent clamping pressure, ability to run with automatic loading and running multiple parts at a time on one fixture. 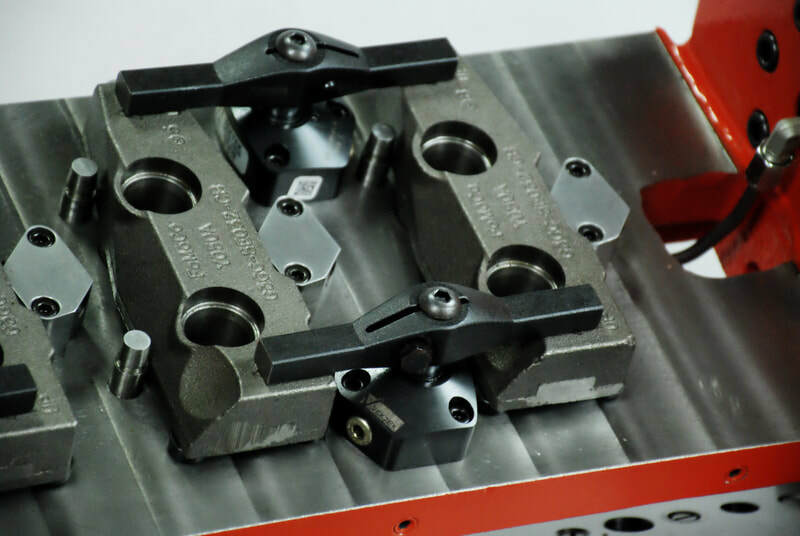 We will look at your part and determine the best clamping methods for the best results. Martin Trunnion Tables also offers hydraulic and pneumatic work-holding. 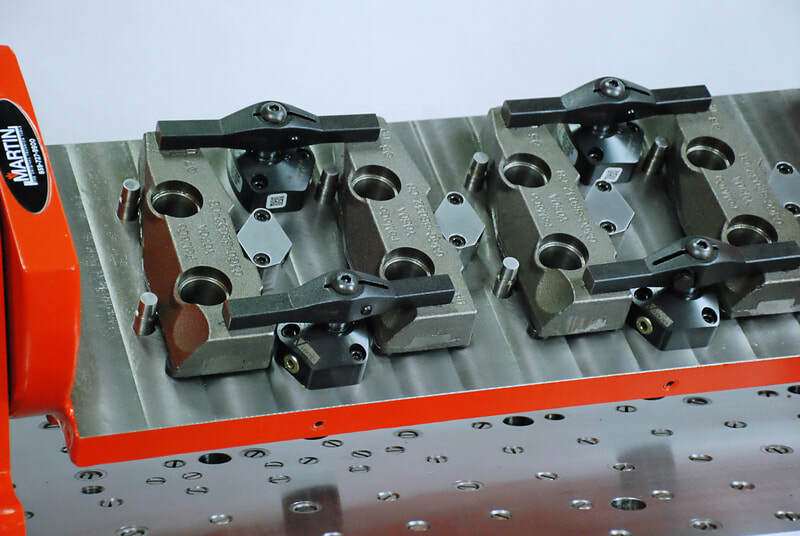 These work-holding options can be made separately or as an option for your Stallion Trunnion Table (see photos). 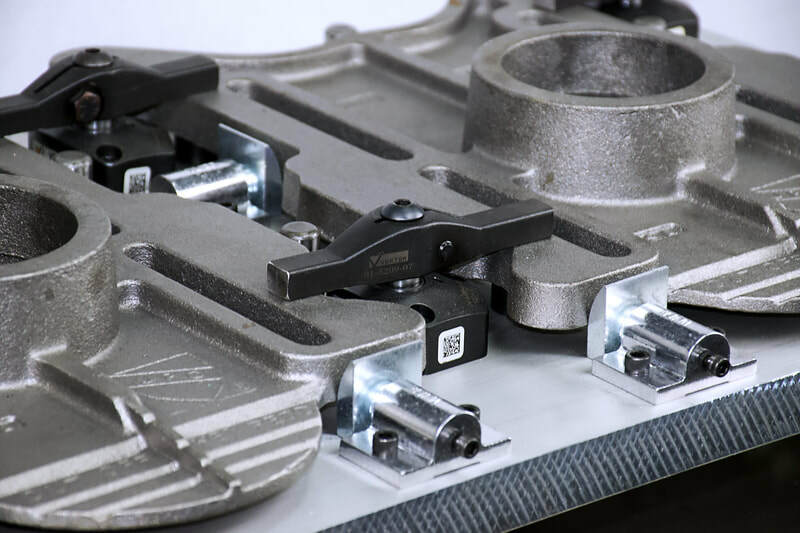 Vektek Swing Clamps or other work-holding options of your choosing are available. 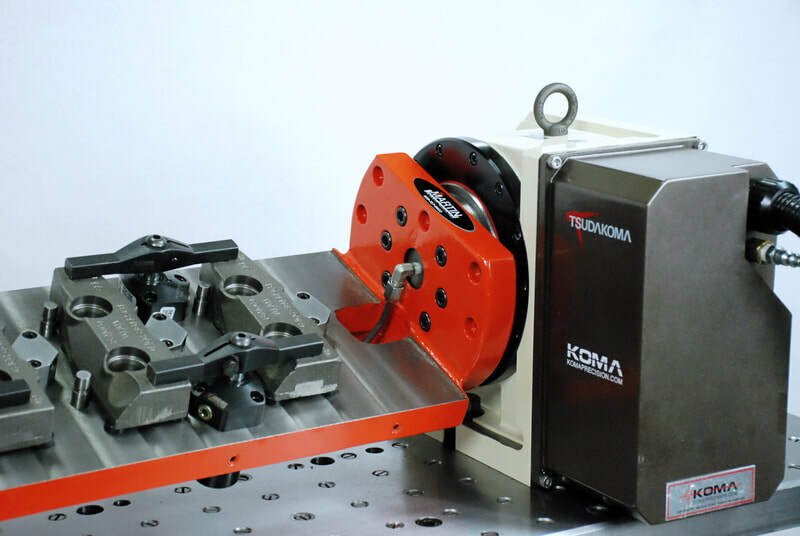 "We realized we could go with the large, four-axis capability on the EC 1600, get the mid-sized vertical with a trunnion table and have all our bases covered while saving a lot of money!"